Catherine Montalto is an associate professor of Consumer Sciences in the Department of Human Sciences and Director of First Year Experience. She received her PhD from Cornell University and her master's and bachelor's degrees from The Ohio State University. Montalto joined the faculty in 1992 and became Director of First Year Experience in 2018. She teaches courses that apply marketing research and data analysis to examine consumers and factors which impact decisions around the allocation of time and money. Montalto is involved with several university initiatives around student financial wellness and is a member of the Student Financial Wellness Task Force and Student Life Wellness Collaborative. She is also a member of Ohio Staters, Inc., a 501(c)(3) nonprofit organization committed to services and preservation of the welfare and traditions of The Ohio State University. As a consumer economist, Montalto studies factors and processes affecting the economic status and financial security of households and individual household members. In addition, she studies methodological issues germane to her primary research focus and shares this knowledge with other researchers through teaching, collaboration, conference presentations, manuscript publication and participation in web-based users groups. Her research trajectory has included household saving behavior including retirement preparation and emergency savings, time allocation and labor force participation behavior and consumer financial strategies related to education and health care. Student financial wellness is Montalto's current research focus. 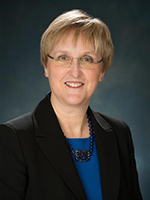 She partnered in the collection of the 2010 Ohio Student Financial Wellness Survey (19 Ohio postsecondary institutions; nearly 5,800 students) and the 2014 National Student Financial Wellness Survey (52 postsecondary institutions; more than 17,000 students), and the 2017 Study on Collegiate Financial Well-Being (65 postsecondary institutions; more than 28,500 students). The purpose of both studies is to advance understanding of how student financial behaviors, stress and experiences are related to student educational and career outcomes. The goal is to better understand how financial wellness affects the college experience and academic and career success. Our nation has experienced dramatic economic changes in recent years. The results of this continuing research will inform initiatives and interventions launched by colleges, universities, state governments and federal government agencies in their efforts to assist current and future students achieve financial and personal success. Letkiewicz, J., Lim, H., Heckman, S., Barthlomae, S., Fox, J., & Montalto, C. P. (2014). The path to graduation: Factors predicting on-time graduation rates. Journal of College Student Retention: Research, Theory, & Practice, 16(3), 351-371. Heckman, S., Lim, H., & Montalto, C. P. (2014). Factors related to financial stress among college students. Journal of Financial Therapy, 5(1), 19-39. Lim, H., Heckman, S. J., Letkiewicz, J. C., & Montalto, C. P. (2014). Financial stress, self-efficacy, and financial help-seeking behavior of college students. Financial Counseling and Planning, 25(2), 148-160. Bhargava, V., Hong, G. S., & Montalto, C. P. (2012). Use of practitioner-based and self-care complementary and alternative medicine in the United States: A demand for health perspective. Family and Consumer Sciences Research Journal, 41(1), 18-35. Kim, S. Y., Hong, G. S., & Montalto, C. P. (2012). The effects of long-term care insurance on home care use among the disabled elders. Journal of Family and Economic Issues, 33(3), 353-362. Fisher, P. J. & Montalto, C. P. (2010). Effect of saving motives and horizon on saving behaviors. Journal of Economic Psychology, 31, 92-105. Kim, S. Y., Hong, G. S. & Montalto, C.P. (2009). A study on determinants of nursing home entry and home care use in the United States: Using Cox’s proportional hazard model. The Journal of Women and Economics, 6(2), 61-84. Montalto, C. P., Bhargava, V., & Hong, G. S. (2006). Use of complementary and alternative medicine by older adults: An exploratory study. Complementary Health Practice Review, 11(1), 27-46. Rha, J.-Y., Montalto, C. P., & Hanna, S. D. (2006). The effect of self-control mechanisms on household saving behavior. Financial Counseling and Planning, 17(2). Bi, L. & Montalto, C. P. (2004). Emergency funds and alternative forms of saving. Financial Services Review, 13(2), 93-109. Zuiker, V. S., Katras, M. J., Montalto, C. P., and Olson, P. D. (2003). Hispanic self-employment: Does gender matter? Hispanic Journal of Behavioral Sciences, 25(1), 73-94. Elmerick, S. A., Montalto, C. P., & Fox, J. J. (2002). Use of financial planners by U.S. households. Financial Services Review, 11(3), 217-213.